Everyone deserves to have a dazzling white smile and a healthy mouth. No matter the current appearance of your teeth, cosmetic dentistry solutions can help. Dr. Edwin E. Yee, your Pensacola dentist, views dentistry not just as treatment but as an art. Dr. Yee enjoys educating his patients about what is possible with the variety of cosmetic services that we offer. We offer clear options and detailed previews of exactly how we can accomplish the smile you have always wanted. We are highly skilled, caring professionals who strive to connect with our patients with integrity and compassion enabling them to make informed decisions for healthy, beautiful smiles. We enjoy serving the Pensacola community. 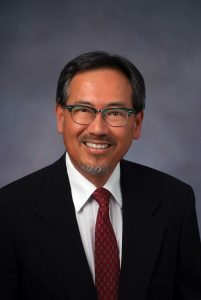 The youngest of four siblings, Dr. Edwin E. Yee, was born and raised in Leland, Mississippi, where he grew up working in his parent’s grocery store. In 1975, he graduated from the University of Mississippi with a Bachelor of Science in Pharmacy.